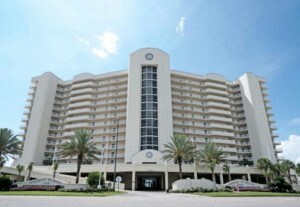 Panama City Beach Condo For Sale at Aqua Resort. This beach residence includes a bonus room and is one of the largest on the beach. Huge master bath and bedroom attached to a very comfortable and private balcony. A great rental property. Aqua has been recognized as the best of the best on Panama City Beach two years in a row. The location, so close to Pier Park, the distinctive architecture, the amenities, the rental potential, high quality construction, all help to create a community that stands out on the beach. The Bay County International Airport is already bringing new investors to this area, and high quality will be a premium. Close proximity to grocery stores, restaurants and more - come see this one. Orange Beach gulf-front condo for sale at Admirals Quarters. Panoramic Gulf front View from balcony, which is accessed from large Living/dining/kitchen area and Master Suite. This gulf-front resort property is being sold furnished. Master Suite and Guest Suite, 1/2 bath, wet bar. The beach residence is rental ready currently with Kaiser Rental Management. The condo has a coded lock for key-less access.